"iPad HD" to Launch This Fall, With Pro Apps? “iPad HD” to Launch This Fall, With Pro Apps? Amidst the speculation on a possible iPad 3 release this year, This is my next are reporting that a beefed-up “iPad HD”, aimed at a professional audience may make a debut later this year alongside the iPad 2. iPad HD will feature double the resolution of the iPad 2 (2048 x 1536) and will sport new high-end apps such as Aperture and Final Cut Pro. Our sources are saying that not only will there be a newly designed iPhone coming in the fall, but there is going to be a new entry into the iPad family as well. As hard as it might be to believe, the new tablet is said to sport a double resolution screen (2048 x 1536), and will be dubbed the “iPad HD.” The idea behind the product is apparently that it will be a “pro” device aimed at a higher end market – folks who work in video and photo production possibly – and will be introduced alongside something like an iPad version of Final Cut or Aperture. 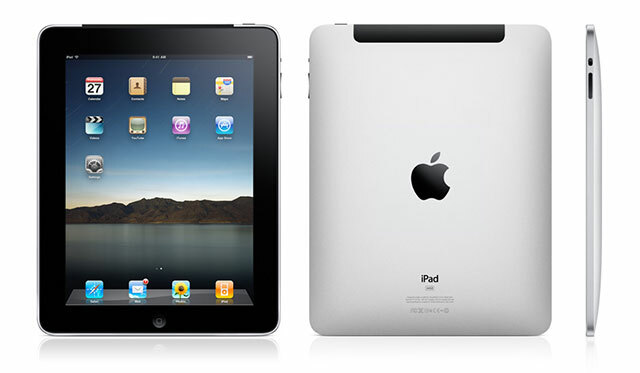 This product is specifically said to not be the iPad 3, rather a complimentary piece of the iPad 2 line. Think MacBook and MacBook Pro. If the rumors of the iPad HD turn out to be true, it’s unlikely that Apple will also be launching the iPad 3 in the near-term, with any next-generation device likely to supersede all iPad 2 level devices.